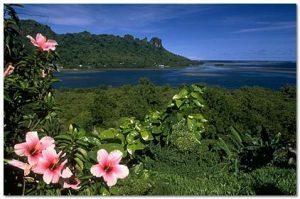 The 8th Micronesian Games is heading to Pohnpei. 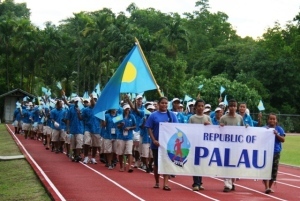 The 7th Micronesian Games, the biggest sports event hosted by Palau, have closed. Tennis play for Friday was cancelled after approximately one hour due to rain. The semifinals and Women's Doubles Finals are now scheduled for Saturday (the former Friday schedule carried over into Saturday). Finals and Bronze medal matches are therefore scheduled to be held on Sunday at the Airai Tennis Courts. 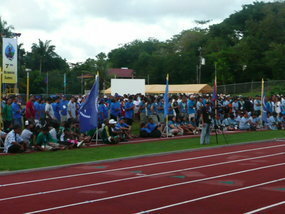 The third day of full competition in the Micronesian Games is underway in Palau. 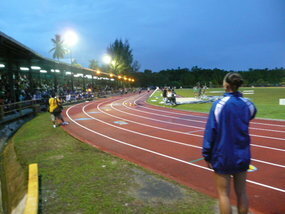 At the track six gold medals will be decided, including the blue ribbon 100 metre sprints. 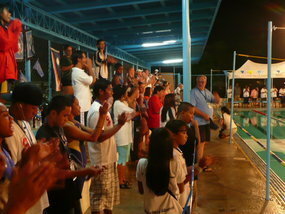 At the Micronesia Games in Palau, two outstanding swimming performances have dominated the first night of finals. The president of Palau, Johnson Toribiong, has hailed last night's opening of the 7th Micronesian Games as a significant step in the country's development. 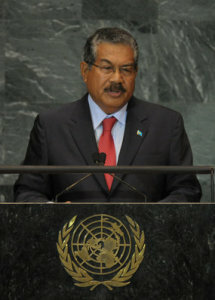 Thank you to everyone involved in the 7th Micronesian Games. Athletes, officials, Games staff and volunteers, we thank you for your contribution and we look forward to seeing you all in Pohnpei in 2014.